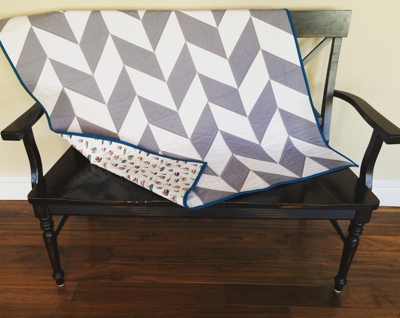 A fun herringbone quilt…just because. 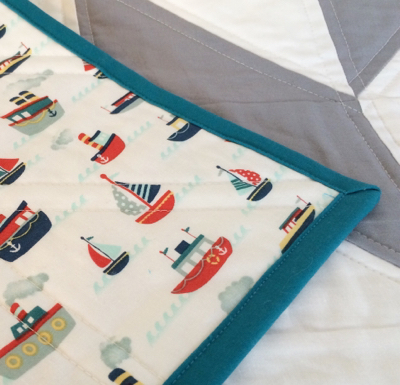 I'm in love with this Riley Blake boat print on the back. My first try at machine binding using Cluck Cluck Sew's tutorial. There is a learning curve, but I feel like I'm starting to get the hang of it.